With beautiful Spring weather upon us, why would you ever want to leave Vancouver? The cosmopolitan destination of Vancouver is home to a unique array of luxury experiences along with some of the most lavish dining, shopping and accommodation options that North America has to offer. If you’re pining for a pampering getaway, it’s time to start planning your itinerary as we reveal our top recommendations on where to eat, play and stay in the sophisticated city of Vancouver. 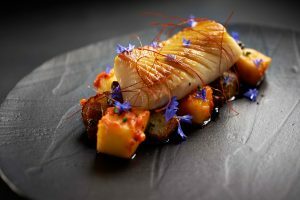 Vancouver boasts some of the most innovative and highly rated restaurants in Canada, with its culturally diverse and constantly evolving food scene. When in search for the most important meal of the day, settle in at the elegant Chambar, which serves a daily breakfast of modern Belgian cuisine in a refined downtown setting. By the time lunch rolls around, grab a private waterfront table at Peruvian-Japanese hot spot Ancora: here, you can take in Vancouver’s famous views with a glass of Champagne in hand, and treat yourself to premium cuts of sashimi or an exclusive caviar tasting. Pre-dinner, delight in curated wine flights at the romantic hidden gem, Salt Tasting Room, or sip on extravagant herbal-infused cocktails at Botanist, located at the opulent Fairmont Pacific Rim. For a truly memorable night out, savour Vancouver’s renowned Chinese cuisine at Mott 32, the award-winning Hong Kong-based restaurant located at Trump International Hotel and Tower, or spend an evening at the Rosewood Hotel Georgia’s award-winning Hawksworth Restaurant – a true icon of Vancouver fine dining. 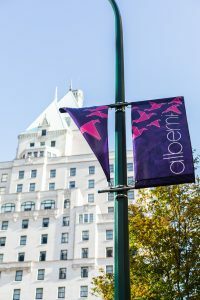 Shop until you drop on Vancouver’s Alberni Street, also known as ‘Luxury Road’ and deemed as one of the most prestigious retail addresses in North America. Here, the blocks are lined with lavish storefronts that are home to high-end global fashion brands like Prada, Tiffany & Co., Hermes, De Beers and more. Rest up after shopping at the Pan Pacific Hotel Vancouver’s sublime Spa Utopia, which features 11,500 square feet of total indulgence including relaxation lounges, essential oil-infused steam rooms and a lush VIP suite. 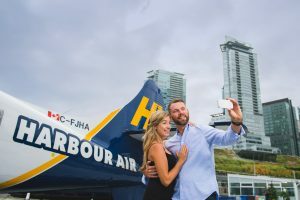 Top off your itinerary with a once-in-a-lifetime Vancouver Panorama Experience by Harbour Air Seaplanes, and take in breathtaking aerial views of the city via an exclusive flightseeing tour. Luckily for visitors, Vancouver provides a varied selection of luxe accommodation options, all located conveniently in the downtown core. The Fairmont Hotel Vancouver, which opened its doors in 1916, is known as the ‘Castle in the City’ and reflects the timeless luxury and history of the booming metropolis. For a prime seaside location and upscale resort-like experience, check in to the Westin Bayshore, just steps away from the world-renowned Stanley Park and seawall. Tucked away on a tranquil downtown side street is the boutique Wedgewood Hotel, a member of the prestigious Relais & Chateaux and one of the only hotels in the city with private balconies that open up to sweeping urban views. Visitors who book The Luxury Package through Stay Vancouver Hotels will receive a $50 hotel credit (toward food & beverage and spa services used during your stay); free room upgrade; free Wi-Fi; and the best rates at a number of Vancouver’s luxurious participating hotels. Or, try our Discover Downtown Package, where you can choose from a number of top downtown Vancouver hotels and receive a $25 gift card, free room upgrade, free parking and free Wi-Fi.